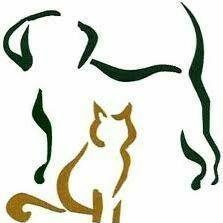 "I have boarded at many places, and summerwood vet clinic by far exceeds them all! It is clear the staff loved my Labrador, Banjo, and the care in all of their boarding accommodations was very evident. I loved the Pawgress report! Thanks again!" - Lauren. “Dr McCann is one of those special people that you are extremely fortunate to come across and makes a huge impact on your life. She has such a great heart and always keeps my pets and I happy” – Michelle H.
“This is the BEST vet clinic ever!! ALWAYS quick to help, informative, compassionate, with top quality medical care!!! You are all loved and appreciated! !” –Benita H.
“Thank you Dr. McCann, you just don’t know how grateful I am for all you have done for my furry kids. You and your staff are the best group of people I have ever worked with. I will never forget everything you have done for me and my kids. You and your staff all have such big hearts for all your patience and that is what really warms my heart. You are all so caring about pets and owners. And you take the time to explain things to me, it means so much. Thank you” – Celestine K.
“Susan, I would like to thank you again for your kindness concerning our unfortunate situation with our beloved Tyler. Saying goodbye to Tyler was by far the most difficult undertaking of our 20 year marriage. You and your staff made an otherwise impossible undertaking for us bearable. Our appreciation is truly heartfelt.” – Glen T.
“Y’all have been a true blessing in our lives! Dr. McCann and the staff are amazing people who genuinely care about our four-legged children and their well-being. We’d be lost without y’all!!! THANK YOU! !” – Jennifer H.
“I cannot begin to tell you what an exceptional group you have in the folks at Summerwood. My dog was hit by car last Thursday and it almost completely removed her hind leg. I really wish we would have taken pictures of her miraculous survival and subsequent recovery…all made possible by a wonderful group of committed individuals at summerwood vet clinic.” –Tammy H.
“I previously took my dog to a different vet in the area that gave me two options for my situation, a $2000 surgery or euthanasia. There were no other options offered! I came to Dr. McCann for a second opinion. She never offered euthanasia as an option and the cost of surgery with her was much more reasonable! You could also tell that my dog felt safe with her. She even scheduled him for surgery the very next day because she didn’t want him to wait the entire weekend. I will never use another Veterinarian. Dr. McCann is by far the very best Vet I have ever known. Thanks Doc!” – J.W. “We switched to Summerwood Vet when we moved from Kingwood and I am so glad we did. Dr. McCann is absolutely the best vet we have ever been to. She is extremely knowledgeable, compassionate, and caring and she takes the time to listen to your concerns about your pet(s). She has, hands down, the best staff in the city! Words cannot express our gratitude for all they have done for our furbabies J Y’all ROCK!” – Edna T.
“Summerwood Vet was great with my older dog, who lived to be 16 years old! And now with my 5 month puppy! The staff is GREAT! And at the same time you’re supporting a local business.” –Cindee V.
“As always we are extremely happy with Dr. McCann and Summerwood Vet Clinic. Dr. McCann and staff seem very interested in listening to our pet concerns and answering all of our questions. I know that Charlie is in great hands every time we have to visit! Thank you for everything you do! !” –Ben & Karen B.